Do you use Microsoft Excel? It’s very likely that you do because it works with office tasks marvellously. If you need to count a lot and create long calculation lists, no matter how immense the figures are, you can use Excel and it will do all the work. Even at home, while planning your family budget, for example, you can do that with the help of Excel. Although it’s not the easiest program and using it requires some skills, it’s nothing compared to the incredible range of possibilities open before you once you learn how to use it. You can use it for whatever tasks that involve calculations. So seeing that the program does a great job, we soon forget that its documents are of a great value. When it happens that Excel documents get corrupted, it doesn’t matter whether these are our work documents or simple spreadsheets we use at home, it can be extremely annoying and the fact that it’s not that easy to recover them at first glance, makes it even worse. Do you know how to recover corrupted Excel file? Or, rather, do you want to find out how to recover it? If you do, carry on reading. Some answers are so simple that we sometimes are too busy to notice them. Our computers are machines that are fueled by programs. Without programs, we wouldn’t be able to use the computer. Therefore, in order to recover corrupted Excel files we need a program for Excel recovery. It’s as simple as that. 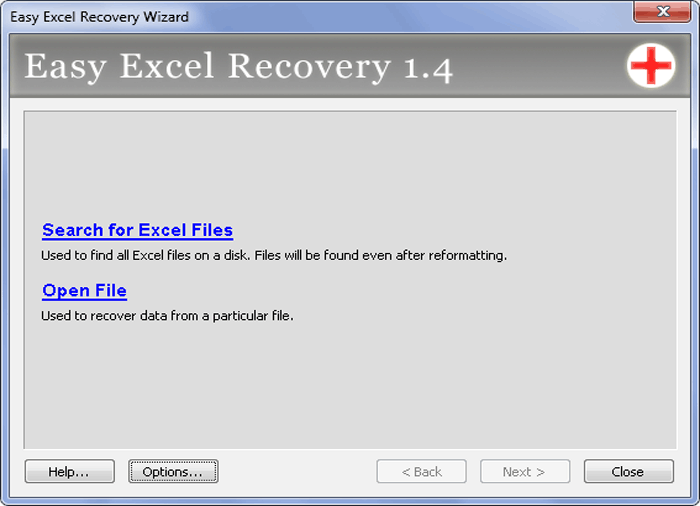 The program we’d like to present is Easy Excel Recovery. It’s one of the best programs on the market for recovering files and it works with Excel in paricular, delivering the best results for this type of file. It works with corrupted files and it’s able to recover all data from the damaged spreadsheets, providing there’s still data left to recover and it hasn’t been overwritten. The program is cut out for Windows obviously and it supports Unicode and national symbols fully. 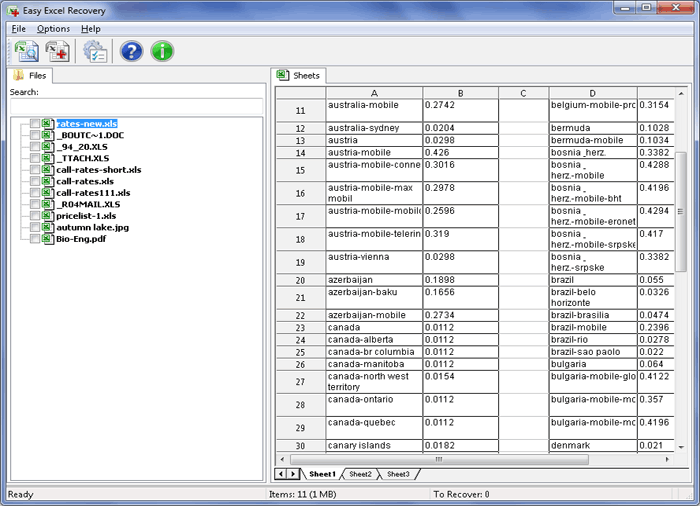 It may seem a little hard to believe that a mess that once was an Excel spreadsheet, can actually be recovered. If you’re finding it a little improbable and don’t want to rush with paying, it’s perfectly understandable. There’s a test version for you, which lets you perform corrupted Excel file recovery on your own and see what exactly can be done about your file. It’s there for you, on our website, you can download it any minute of any day and you can see immediately if your file or files are recoverable only by looking at the preview. It’s free and you’re only required to pay after the evaluation.